For the test material, I chose one of the trickiest types of plywood I've used, 3/4" red oak. I don't know if all red oak plywood is as fickle as the stuff I used, but when I built my brass brushed, modern media console a couple months back, I seriously struggled with this plywood. Not only was it full of wood filler, but the top veneer layer was wafer thin and wanted to flake apart. Cross-cutting (cutting perpendicularly across the grain on the wood) through this plywood was definitely a good challenge for any circular saw blade. 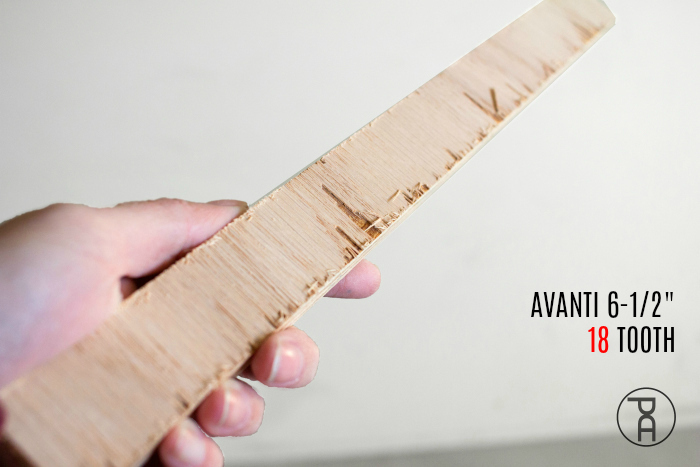 Avanti Pro 6-1/2" - 18 Tooth "Fast Framing"
Just because it says "framing" on the front means this blade has to be used to build a house. The thin kerf and wide set teeth enable a blade like this to cut to softwoods like pine and pressure treated beams a little more easily. This means it's a great option for 2x material and cuts that need to be faster than pretty. 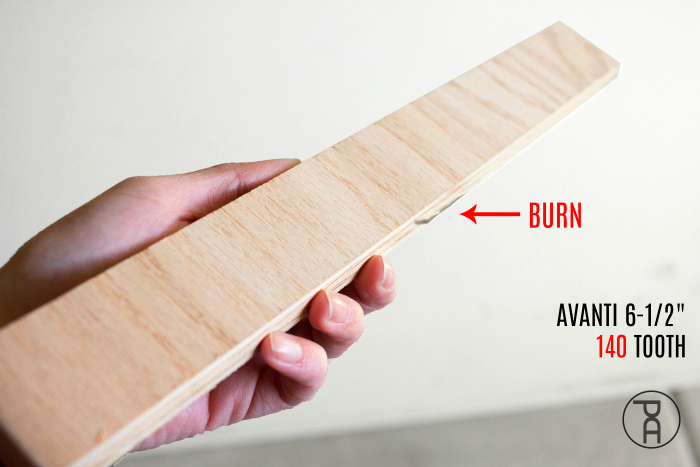 Looking at the photo below, I would say an 18 tooth blade is a terrible option for a finished plywood. Splinter City. Keep this blade around for the 2x board or thicker only. Diablo 6-1/2" - 24 Tooth "Ultimate Framing"
You guys know I have a soft spot for Diablo blades. The first thing I do whenever I get a new saw is to put a red blade on it. For reals. 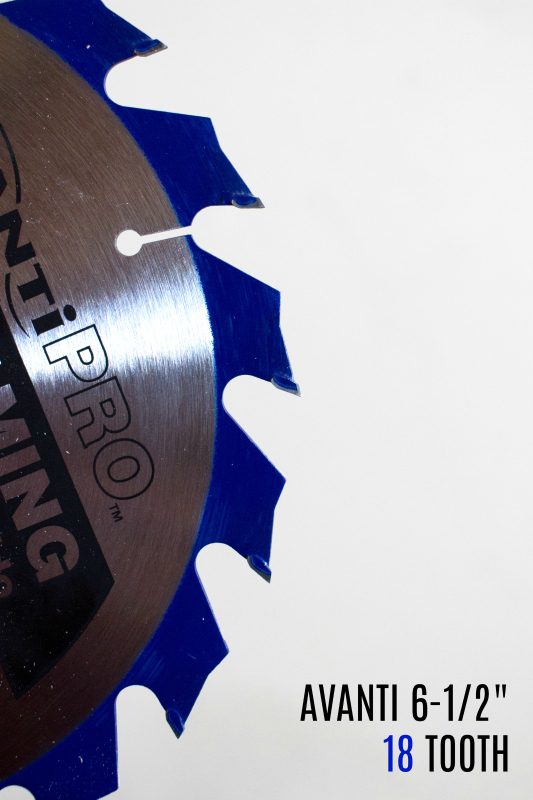 If you are looking to do some framing or will be cutting softwood like pine, this would be your go-to blade. It has Laser cut stabilizer vents which reduce vibration and reverberation (blade ringing). 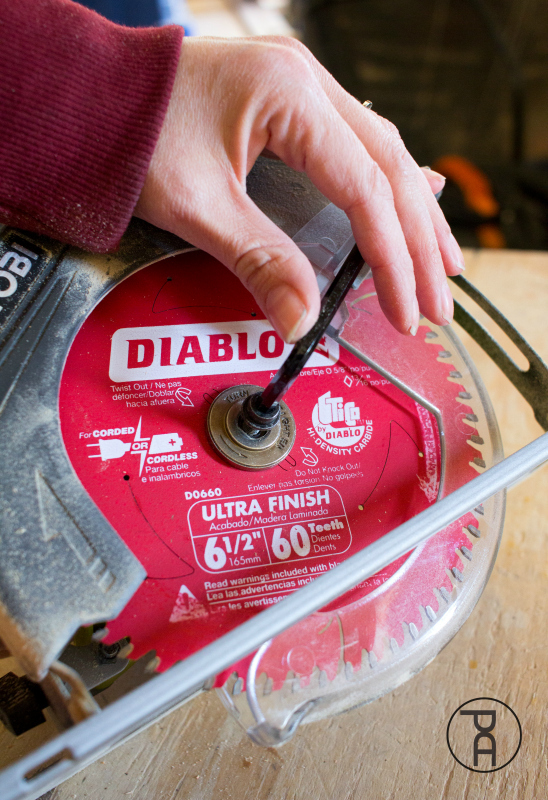 Between the vents and the carbide-titanium tips, Diablo circular saw blades cut straighter, cleaner, and last longer than competitors. I know I'm doing the hard sell, but I really am I massive Diablo fan. So how did the 24 Teeth do on the oak plywood? Eh, not so great. Not as bad at the 18 tooth, but I still wouldn't recommend cutting plywood with it. Lots of chip-out on the edge. Save this blade for cutting pine (which it cuts like butter). 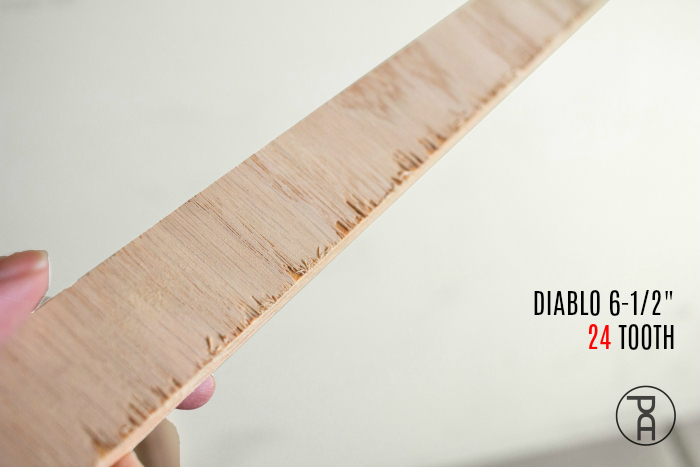 Diablo 6 1/2" - 60 Tooth - "Ultra Finish"
If you hate sanding, this is your blade. The higher tooth count is ideal for cutting through hardwoods, moulding and delicate plywood. 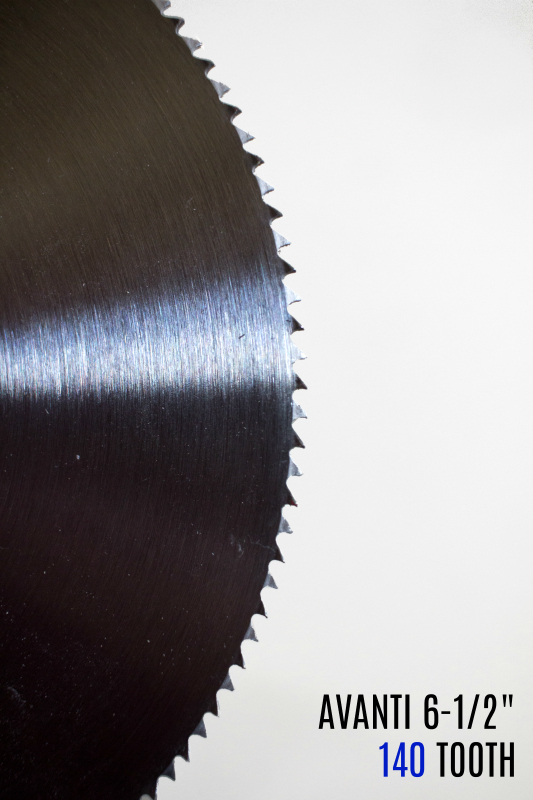 Being a Diablo circular saw blade, it has the same stabilizer vents and durable carbide tips. This is a perfect blade for furniture building. Check out the cross-cut it made on my sample board. So clean. If I took my time, this would have been a perfect cut. No tear-out or chipping. If the 60 tooth blade gives clean cuts, 140 teeth would give even cleaner cuts, right? Yes and no. This blade does have carbide teeth, similar to the Diablo blades and does create a very fine cut, but I had some troubles with it. I didn't love it for plywood and I don't know who's using it to cut OSB. 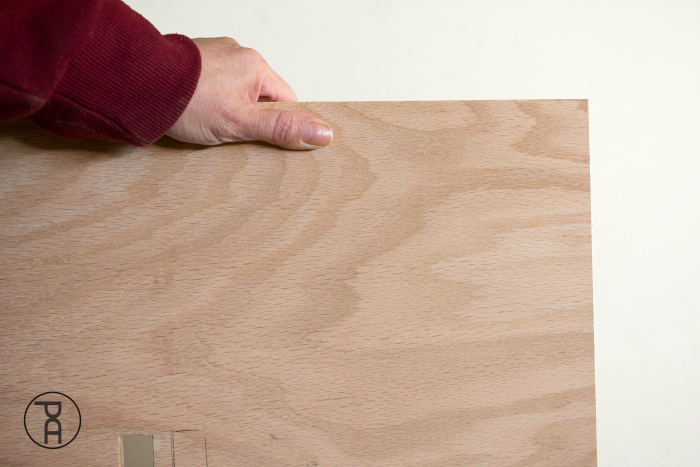 The cross-cut across the 3/4" oak plywood was smooth with absolutely no tear-out or chipping. However, the blade is heavy and was prone to binding. The excessively high tooth count cut very slowly, which actually can cause the blade to become pinched between the pieces being cut and cause burning. Even with a brand new blade, I got a little bit of burning on my sample. I imagine when it dulls a bit, cutting hardwood would be very difficult. I am going to hang onto this blade for cutting really soft stuff like foam or acrylic. Also, not related to the cut itself, but the blade doesn't have any relief cuts or stabilizer vents. It's kinda old-school. The reverberation from the blade rang so loudly it hurt my ears! So loud! I guess I've been spoiled lately, because I wasn't used to a saw blade being so loud. So what blade will I be using to cut plywood with? I'm sure it was easy to guess. 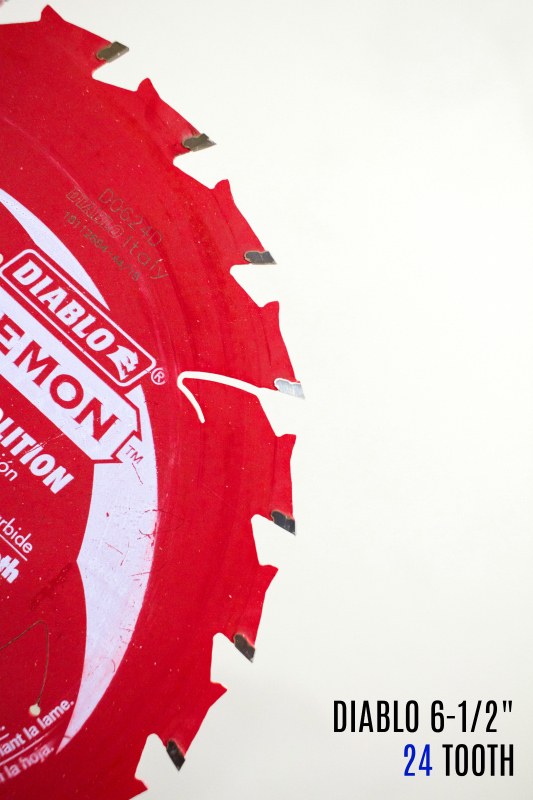 The Diablo 60T Ultra Finish blade is the winner. It's the classic Goldilocks situation. Not to many teeth, not too few. It gives me very quick but clean cuts on not only plywood, but other delicate surfaces like moulding. It's actually a great option for cutting hardwood actually, which I've found myself doing more lately. 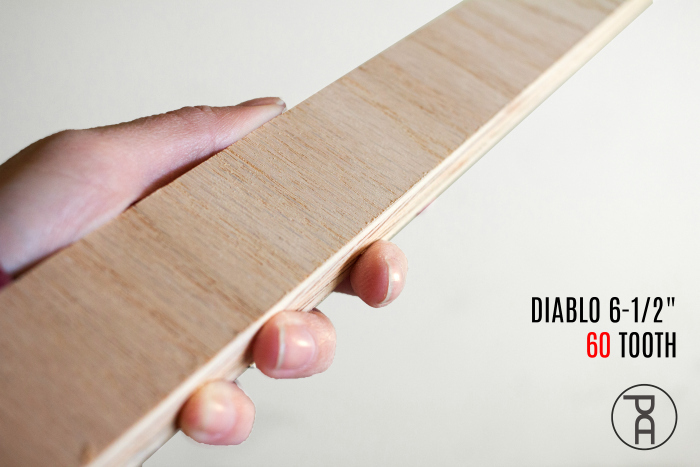 Diablo blades might be a few dollars more than a budget brand, but in my experience, they are worth every penny. What are your thoughts? 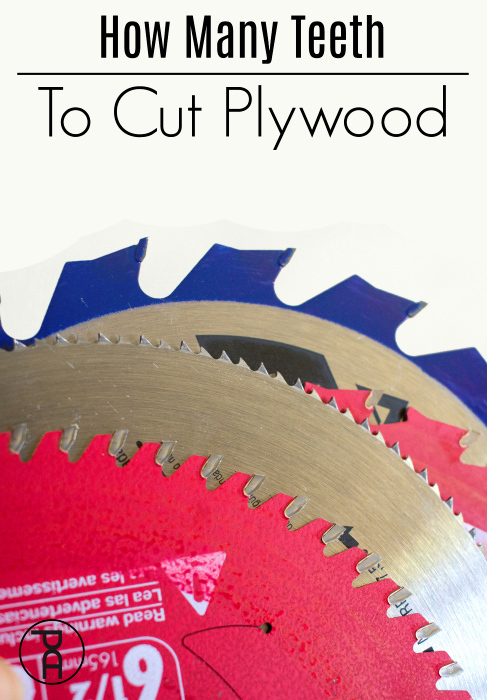 Ever have any trouble cutting plywood? 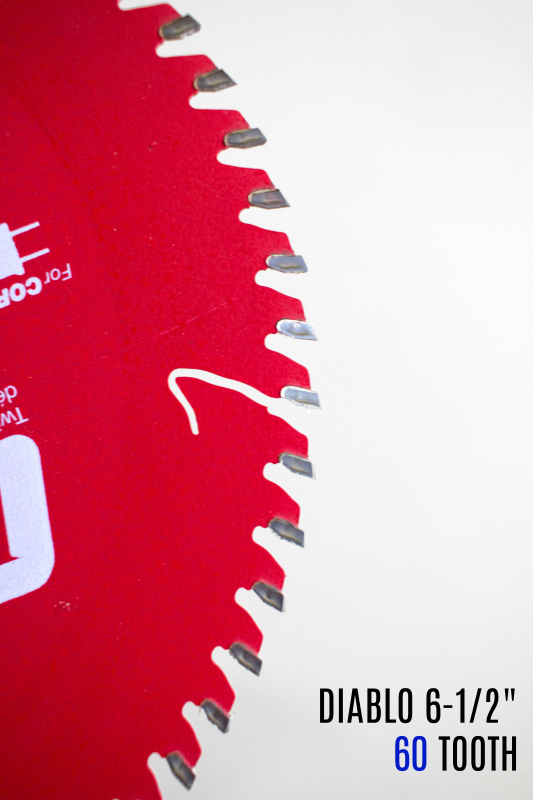 What's your go-to circular saw blade?